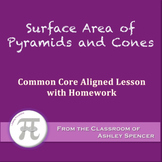 Also included in: Middle School Math Common Core Color By Number - GROWING BUNDLE! 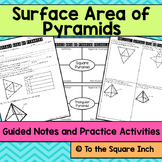 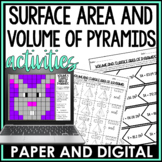 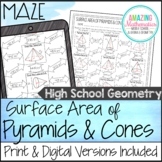 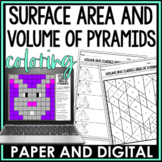 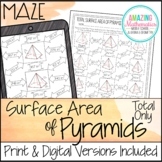 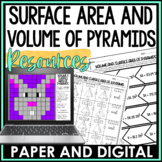 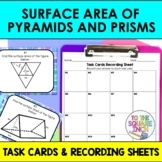 This file includes guided student notes which teach the process of calculating the total and lateral surface area of pyramids. 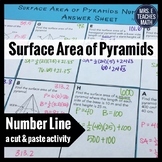 Answer key included!! 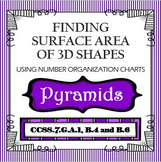 Finding Surface Area of Pyramids using Organizational Charts...this WORKS! 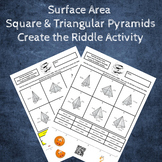 This file includes 9 word problems. 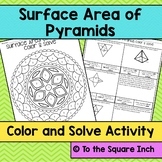 The first 5 are related to total and lateral surface area of pyramids. 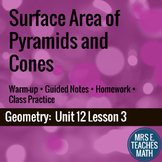 The last 4 are spiral review problems covering range, patterns, comparing fractions, and writing equations. 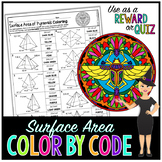 Answer key included!! 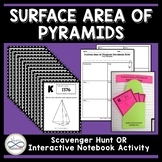 This game is a great review! 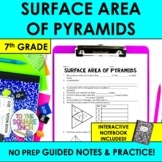 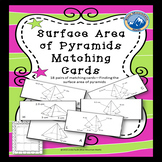 Topics include "cones", "square and triangular pyramids", "other pyramids", and "word problems". 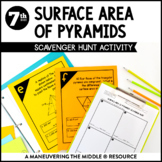 This is one of my class' favorite games!